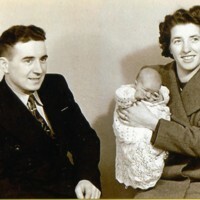 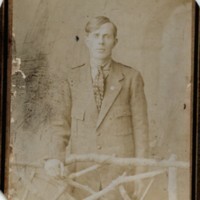 Margaret's father as a young man. 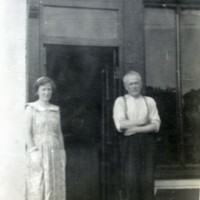 A photo of Maragret and her father in front of his workshop. 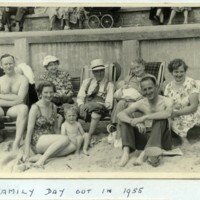 My memories of childhood centre very much around my home and of the very good mum and dad I had, and along with my two sisters -Violet older than me and Phyllis younger, made a very happy family.